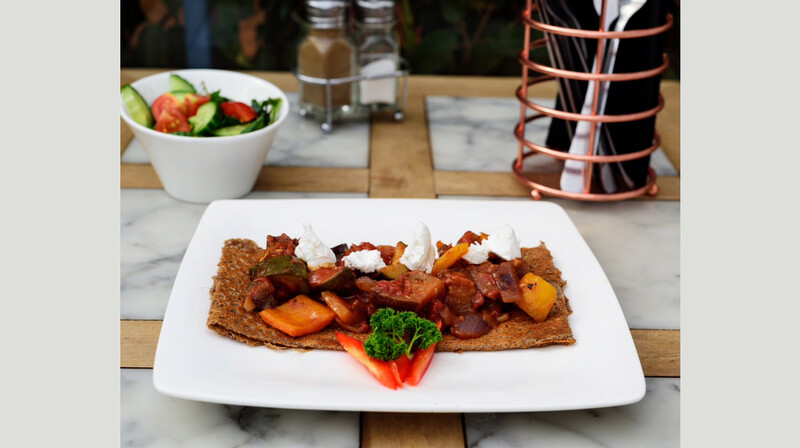 Enter a world of delicious French sweet & savoury crêpes right here in Christchurch! 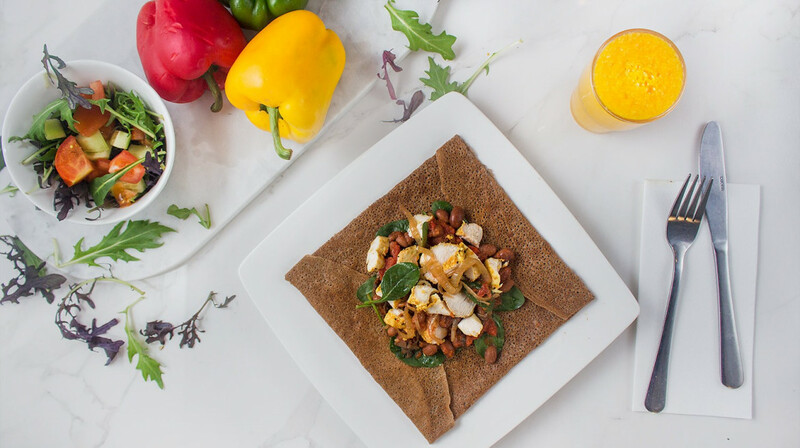 Savoury crêpes are made with a special French buckwheat flour that’s organic and gluten free. 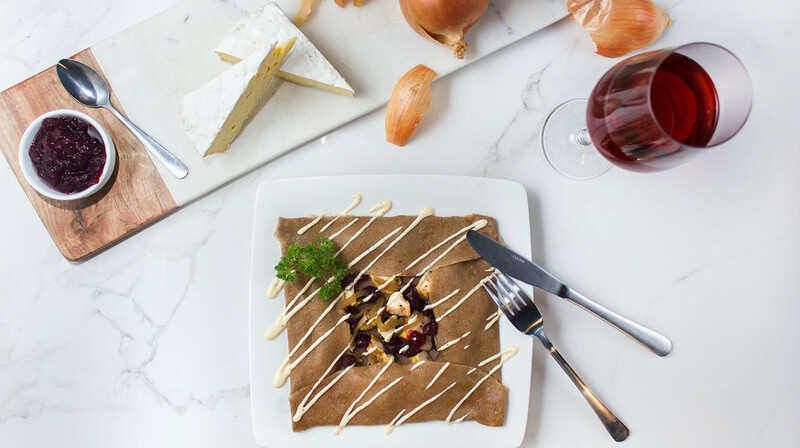 Crêpes aren’t just sweet or for breakfast – go full Français and enjoy crêpes for dinner. Try the classic Ham Cheese and Egg crepe with Garlic Crispy Potatoes and Salad or a BBQ Chicken and Bacon crêpe or a creamy chicken and mushroom crêpe washed down with a beautiful French beer, wine or cider. 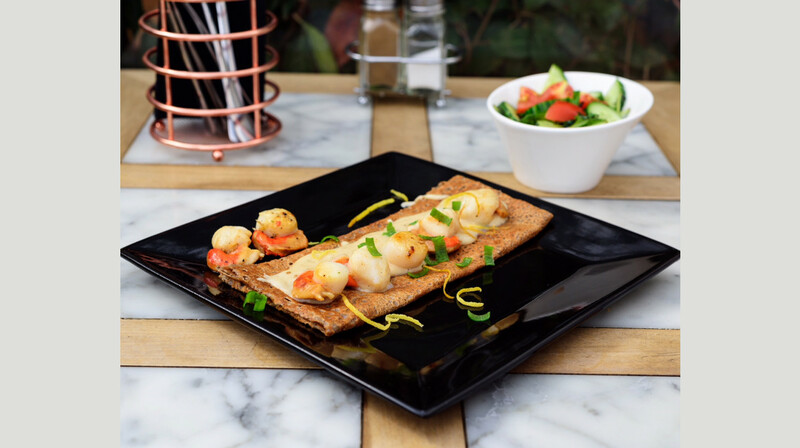 Great vegetarian and vegan options are available too – think a fresh vegan ratatouille crêpe, a goats cheese, rocket, honey and walnut crêpe or a delicious salad crêpe with seasonal produce. Finish your meal with an irresistible dessert, including the Queen of all crêpes - Crêpe Suzette flambéed with Cointreau, or the Banoffi crêpe or Berry Bardot crêpes. 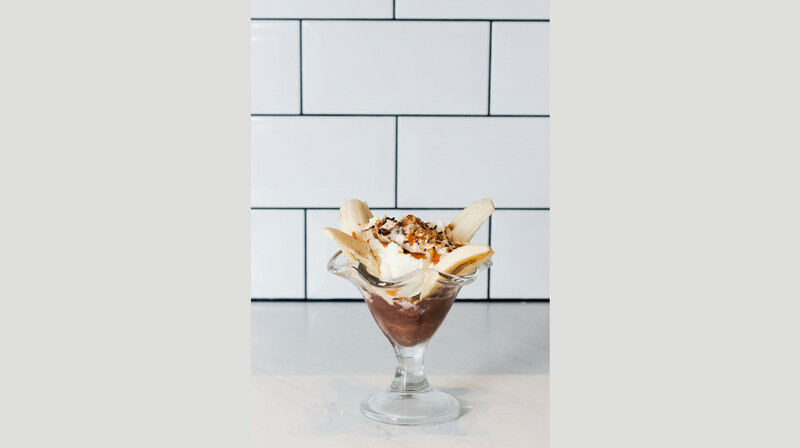 Ooh La La or just have a simple Nutella, Whittaker’s Milk Chocolate or Lemon and sugar crepe! Great meal, really enjoyed the authentic French galettes (savoury crêpes) which are made from buckwheat so gluten free and coeliac friendly. Lots of choice for toppings. Very attentive service and pleasant situation and surroundings. So nice to have this option in Christchurch. Thanks. Have been to the business a few times, Everytime it's amazing food and service. Great to see how much they have grown! Loved the flavors! Going back on Saturday. Enjoyed it so much I forgot to remind them if my discount. Easy to say we love the food. They seem to have had a change of staff but they were very attentive and helpful. Great time had by the four of us. Very tasty crepes and galletes. For savoury gallettes we tried the Ratatouille and the Saumon - all plates were polished clean! Beautifully presented. Washed down with Normandy cidre. Loved the ambience and murals on the wall. It is hard to go past the lemon and brown sugar mini crepes for dessert and they were very authentic and delicious. I hope the patronage improves for Sunday nights as it was quiet at 6pm. i encourage people to come for the full meal- both savoury and sweet. Merci Beaucoup Maison de Crepes. We had a great experience, food was yummy, especially dessert! Wonderful service. The kids absolutely loved it. Oreos for dinner, who wouldn’t ! Margot and the staff where very attentive from the minite we walked in. Such a different dining experience having French crepes for dinner! My husband is a meat and 3 vege man so he was concerned about getting enough to eat. We found the savoury crepes quite filling and very delicious. We had enough room left for our sweet crepes for dessert and we felt absolutely stuffed after those! They received their liqour licence 2 weeks ago and have started offering beer wine cider and do a cocktail of the day. I had a French martini which went great with my sweet crepe. A lovely family dinner! Delicious food and awesome service. Three of us went here for a birthday dinner; I will definitely go again. We went early on a Tuesday; the service was excellent, fast and friendly, the food was delicious, the range was great. Price was good. I particularly enjoyed the crepe suzette. The only thing I would change is that the wine list could be a bit more varied. We had a great dinning experience at Maison de crêpes, it was my first time here and I left feeling very satisfied! 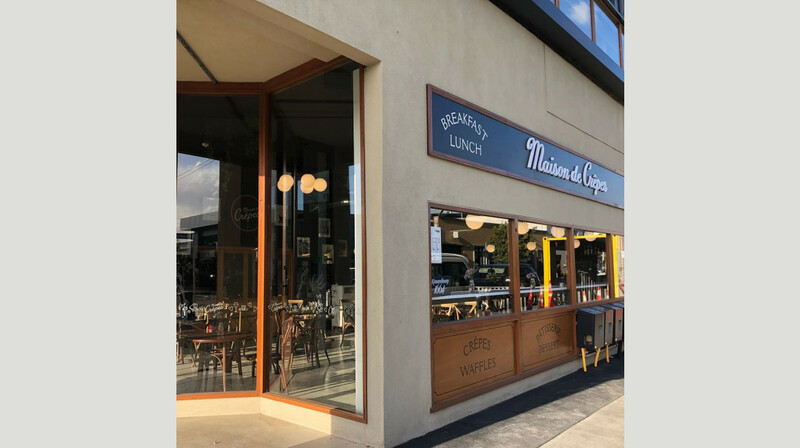 The food was great, something different from your classic steak and veg and the service was 10/10 each staff member was very friendly and passionate about the food and the business. We’ll be back! The food was ok. Dessert better than the savoury dish. Potatoes needed salt. The restaurant doesn’t have its liquor licence yet so we stuck with water. Waitress was lovely very helpful. Unfortunately our dessert took almost 25 mins to come out which for 3 crepes we felt was way too long. The ice cream was really tasty and there is lots of choice on the menu. Went with the BF for a cute (but cheaper!) dinner date. Lovely staff who greeted us upon entry. We both got a savoury and a sweet crepe (had to take advantage of that 50% off). So good how both can be made GF and Vegan. Delicious food and the staff checked on us throughout the meal to check everything was okay. Definitely would recommend for the food and the service. Wow..how great is it when you go out for tea and they are so prepared they even greet you by name plus have a table reserved with your name on it..its such a welcoming and friendly place. The staff are beyond great. The food was cooked to perfection, presented well and a joy to eat. Any food likes or dislikes you may have they are more than happy to adjust the dish to meet your tastebuds. Wonderful place to dine at. A+ all round. As I expected, the staff and their culinary skills didn't disappoint. 5 star dining experience, amazing food, amazing conversation with staff and owner, I love dining here. Can't wait to dine at the new venue, really excited to see what it looks like. Thanks team, you guys rock! Tasty and well presented food. Service excellent. Good Food, Cozy Environment and Nice Staff! Truly scrumptious crepe enjoyed by my family. The lemon sugar simplistic classic was great. Perfect meal on a cooler wet evening. So delicious will go again. 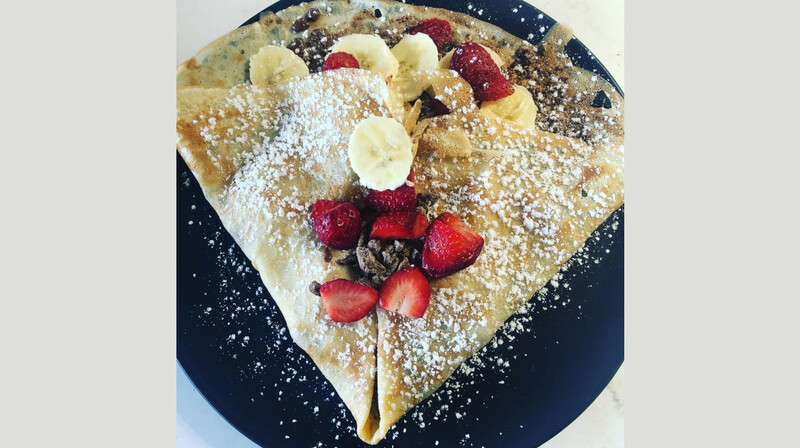 Our experience at Maison de Crepes was outstanding. The food was excellent. Those crispy buckwheat pancakes are divine, and the desserts, watch out! Service wonderful. We also enjoyed the interior which feels like a quaint European cafe. Highly recommended. We had a wonderful time at Maison de Crepes - a true hidden gem! From the moment we walked in the door the staff were friendly and attentive, superb customer service. When they found out we were their celebrating my birthday they put a candle in my dessert which was lovely. The crepes were absolutely delicious! There is a great range of savoury and sweet options and the presentation is beautiful. Will definitely be coming back to try other flavours because picking one was so hard. Thank you Maison de Crepes for a great night out. Very enjoyable meal at Maison de crepes. The service was outstanding also we will definitely be back. Great crepes, great customer service! We really enjoyed our dinner at Maison de Crêpes ! Great and friendly staff, pretty and cosy place, and the crêpes are delicious ! I was also so happy to drink some french cider, hmm ! Feels like home :) I will definitely come back !! Great flavors, service was excellent. A wonderful evening out. Lovely food, friendly staff, great little restaurant. 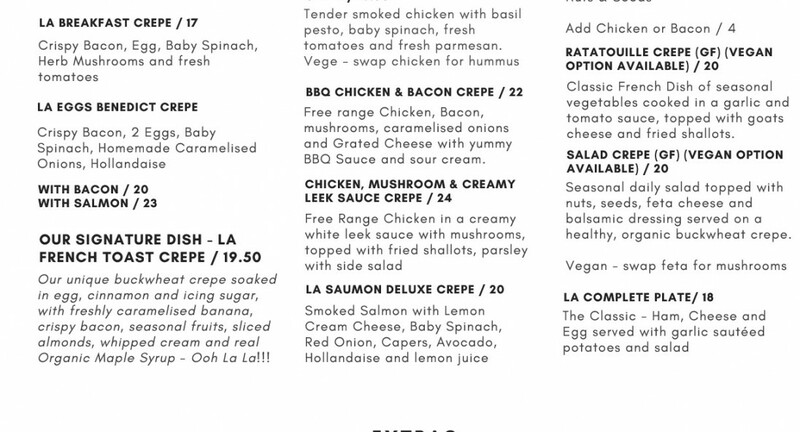 Amazing crepes, particularly the banofee pie one!!! Super friendly service, great decor .... merci. Really like the food here, but really annoyingly there isn't cold water to drink or enough ice to keep the water cold. Simple thing to sort out. Thank you for our lovely experience at Maison de crepe. Both of the lovely waitresses were really friendly and helpful. Our meals were beautifully presented and super tasty! We loved sharing the oreo crepe as well- it was out of this world! We had a great experience and will definitely be back! Delicious food, quick service, will definitely be back :) Banoffee pie crepe was delicious. From the second we walked through the door, we were welcomed with friendly smiles from both the waitress and the chef. We were a little early but our table was ready and the lovely staff looked after us extremely well. During the evening they got very busy bur stayed calm & attentive to all customers. The food was well presented and absolutely delicious. I liked being able to see the crepes being made in the small, efficiently run kitchen. We will definitely go back to Maison de Crepes! Great food, great hostesses, explained all about the food and the dessert crepes were to die for. We will be back. Always a great time coming here! I can never stop at just one I always have at least two! very warm and inviting atmosphere, the staff really made us feel welcome. the food was really amazing, we did not know what to expect when we booked but we are so glad that we did. The mains were reasonably good, the desserts were excellent. There wasn't much space in the restaurant, but we could watch our food being made right in front of us! 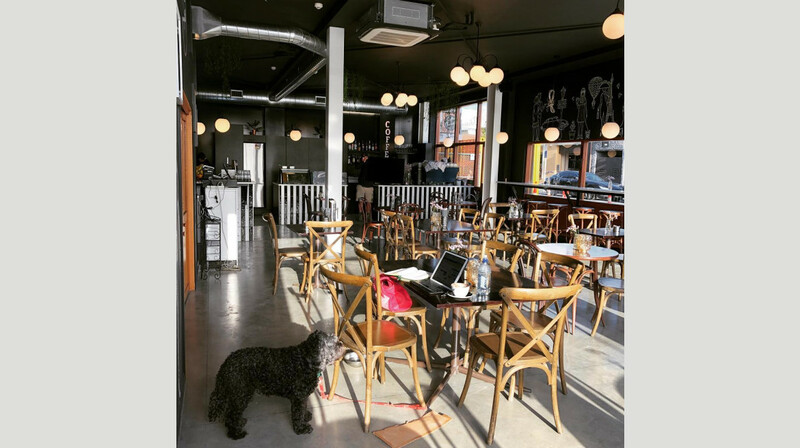 This restaurant definitely remains one of my favourites in Christchurch and trust me, I've been to a lot of places all over our city. 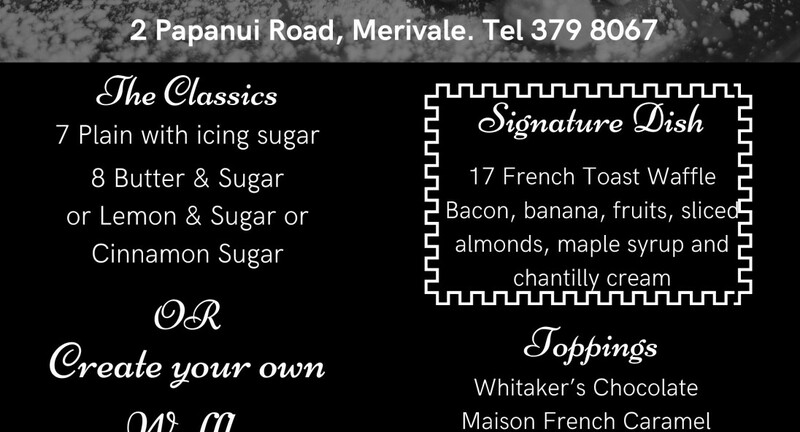 This hidden gem is located on Papanui Road near a busy intersection. We arrived there just on time and were greeted with a table that was already set up with menus, water, and a candle. It was a pretty quiet night with only a few other tables occupied during the night, so I think we were given just the right amount of attention and the food was served pretty quickly. The waitress took our orders and was very attentative as I had asked for a certain ingredient to be left out. So we ordered mains from the savoury menu and some dessert crepes too. The savoury options are vast including vegetarian and I think vegan options? My partner and I both ordered the BBQ chicken and bacon crepe. 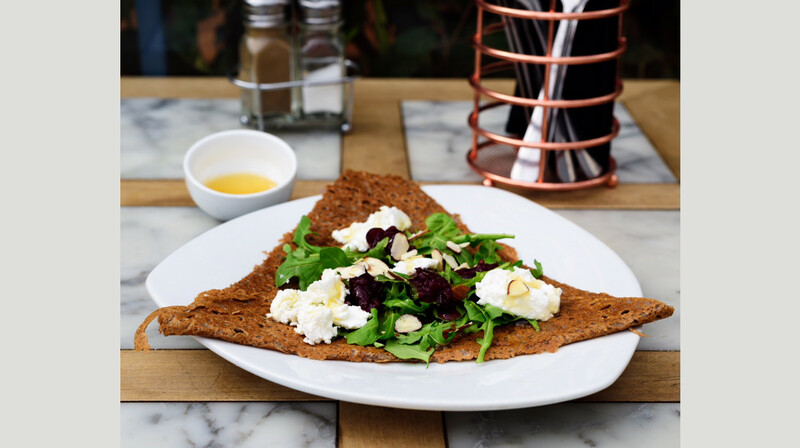 As it is a savoury crepe, it is made with buckwheat and looks slightly different from how most people imagine them to be. The crepe was filled with mushrooms, cheese, bacon, and chicken. It is topped with bbq sauce and a dollop of sour cream. It is the perfect combination of ingredients with cheesy goodness in every bite. After that, we decided to each order two dessert crepes as it is 50% off after all. I had the Whittaker's dark chocolate crepe with banana and a french caramel crepe with cream. My partner had a peanut butter crepe with banana and a french caramel crepe with cream. I highly recommend the chocolate crepe and the french caramel is to die for. 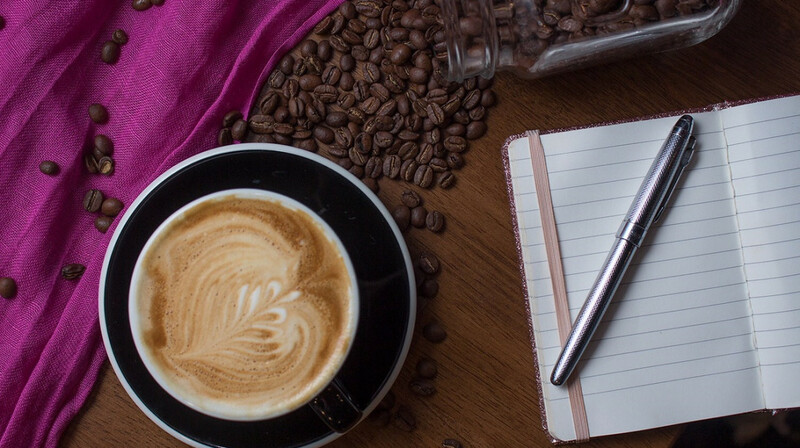 It is not sickly sweet and is the perfect end to your dining experience. Overall, it was a wonderful experience. Ultimately, I highly recommend you book your table at this place as soon as possible as you will not be disappointed. I was so excited for this restaurant that I even logged on at midnight to book it so I wouldn't miss out! So book yours and have a great time served with delicious crepes, good service, a nice atmosphere and affordable prices for luxurious dining! We enjoyed our meal at Maison de Crepes. Very small cosy restaurant. Good service and particularly loved our Snickers dessert crepe. Many Thanks! Yummy as, all the options of gluten free great. I will be going back!